Now-a-day, almost every second person deals with the hair loss problem that can be due to hormonal imbalance, medical conditions or a genetic disorder. This becomes a cause of serious distress amongst the people as they don’t feel confident about their look and fears going out as well. Thanks to the hair transplant technique which has made possible for the people with hair related issues to get a natural looking hairstyle. If scantiness of hair is bothering you so much, then it is best to undergo a transplant from the hands of professionals. It is a final cure for sure which you can trust without thinking twice. But, before you go for the treatment, it is advisable to consult the hair transplant doctor to figure out the actual cause of baldness as this will facilitate the surgeon to give you the right treatment. Contrary to other hair loss remedies, this transplant procedure is quite effective and starts showing positive results within a short amount of time. Talking about the success rate, it is fairly high and you can have a head full of hair with zero sign of patches. The best part about this treatment is that it gives you a natural looking hairline design. The hair follicles are transplanted from one to another portion of the scalp. So, you don’t have to worry about the fact that the hair will look fake. The loss of hair negatively impacts the mind and people dealing with the situation feels conscious about their appearance. But, they don’t have to think about it that much as the transplantation process helps people to get voluminous hair in less period of time. To get the hair transplantation done, you don’t need to have a big bank balance as it is cost-effective which can afford with no hassle. The treatment cost entirely depends upon the cases of the individuals. The hair transplant is a simple process involving no harsh effects on the scalp and you will leave the clinic only after the doctor guides you with the aftercare tips which you have to follow post-treatment for better results. 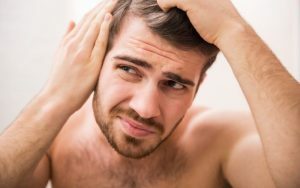 Clearly, the hair transplant is a result-driven technique that comes as a savior to the people who are feeling emotionally low due to their hair loss issue. Be it a bald patch, hair thinning or receding hair lines, this treatment has the power to cover all very well. So, make all your hair related concerns a thing of the past by opting for a suitable hair transplant in Turkey as soon as possible. Share your thoughts on this blog by writing in the comment section below. Would love to hear from you all!